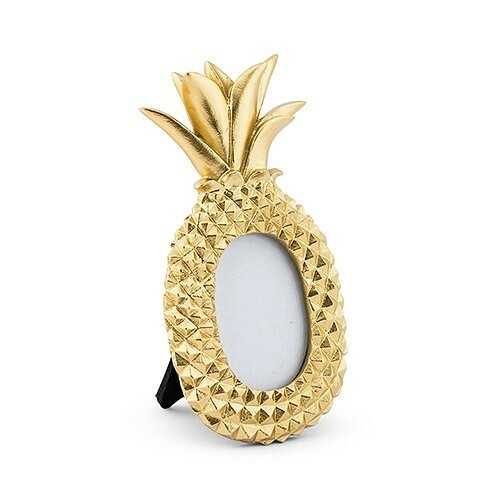 Dimensions: 5 1/2" x 3" x 1/2"
Dazzling in a metallic gold-finish this miniature pineapple photo frame will be the perfect complement for any tropical theme wedding or poolside celebration. Known as a symbol of welcoming and hospitality, here is a party favor that will be a big hit with your guests. Who wouldn't want one of these cuties? Made of resin with a glass window and a cardboard easel back. PLEASE NOTE: Sold as a set of six (6) and prices quoted below are per set.